Mix all the ingredients required for the marination into a blender and make it into a paste. Pour the marination paste over the chicken cubes and mix well into the meat. Cover the bowl and refrigerate for 4-5 hours ( preferable overnight). 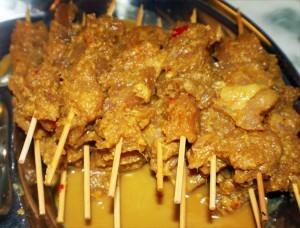 Soak the wooden skewers for atleast 30 mins so that they do not burn during cooking. After marination, thread the chicken pieces into the wooden skewers. Do not leave any space between the chicken pieces. Ideally, the chicken satay is grilled over charcoal but at home, you can pan fry them over a non-stick pan. 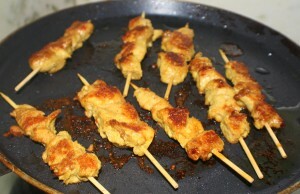 Heat the non-stick pan, grease it with 1 tsp of Oil and place the skewered chicken, few at a time. Cook on medium heat until both sides are lightly browned about 2-3 minutes on each side. The chicken is very soft therefore it does not take a long time to cook. Cook them in batches. Between each batch wipe the pan clean as the sugar in the marinade caramelizes in the pan and add a tsp of oil. 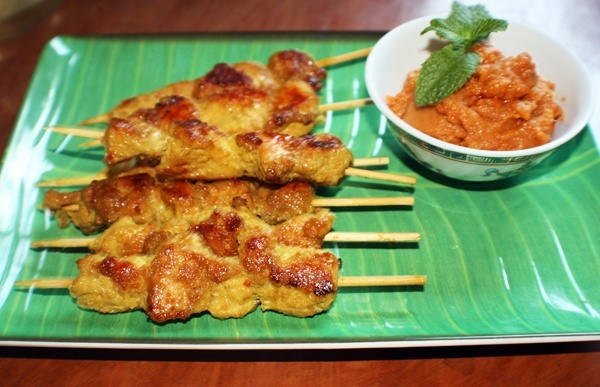 Serve hot as is or with Peanut sauce. 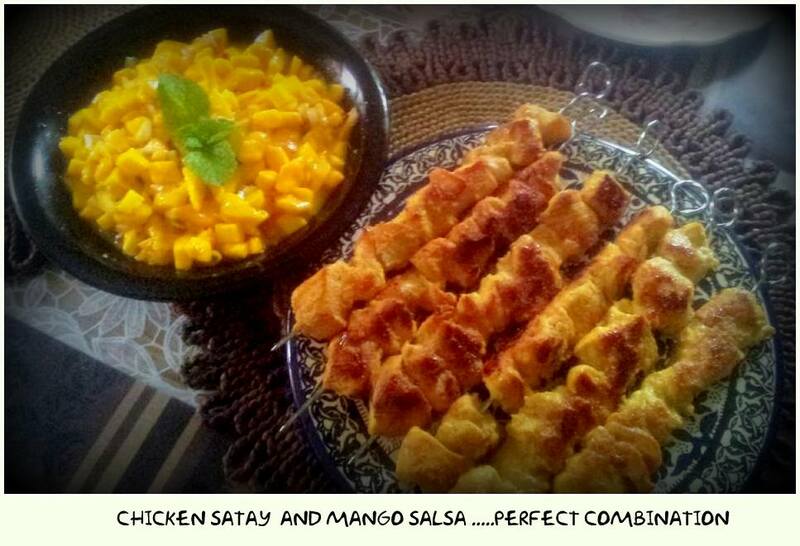 This entry was posted in All Recipes, Chicken and tagged Chicken Satay by Kamakshi. Bookmark the permalink.